I’ve worked with Celestial Effects a few times on give aways, etc. I’ve always been super blown away by their products and their attention to detail. These pedals are built to last – craftsmanship is off the hook! 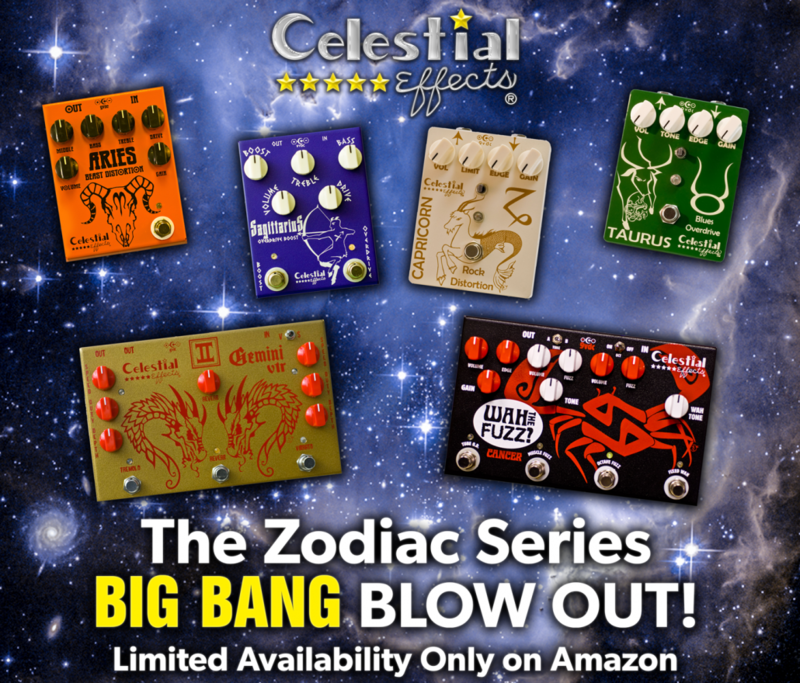 A couple of days ago, I received an email from Joe Grein (owner of Celestial Effects) and he mentioned that they’re discontinuing their super awesome Zodiac Series of pedals and are planning on a new line of Celestial Effects for 2019. Because of this, they’re doing a crazy blowout on their pedals at Amazon.com. I took a look this morning, and I was BLOWN AWAY by the pricing. If you’ve been interested in a good deal, well, this is your time. So don’t miss out on this! These prices are insanely low, but quantities are limited. When they’re out.. they’re out. So if you’re interested, jump on this people! Let me know what you think by commenting below! Excellent Deal on the MXR ZW90 Wylde Phase Pedal at Amazon!